Easter is just days away and it has us dreaming in pastel tones — and mostly in BLUSH PINK. Remember Berkeley’s house and its exterior before/after? Well, her powder bath is about to get a paint job, too — and blush pink it is! Here’s some highlights from our blush-loving brains this week. For her bath, Berk’s jumping for Farrow & Ball’s Pink Ground. 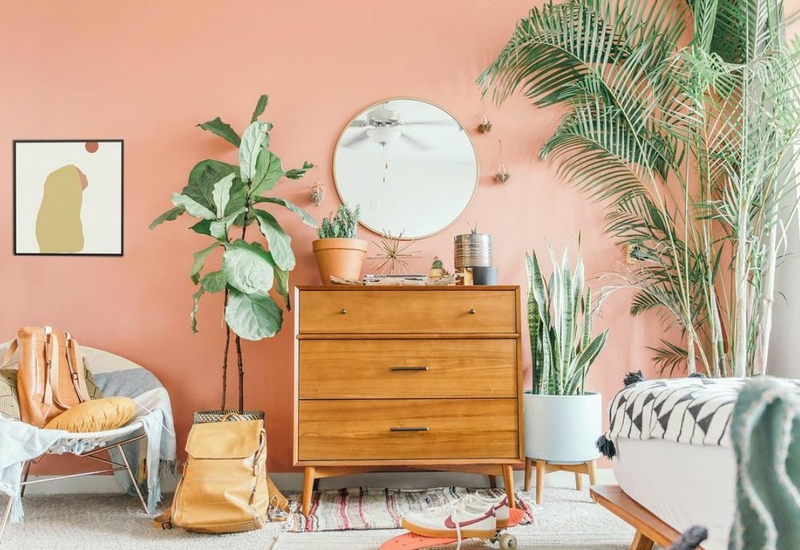 This hue is a dusty-toned blush pink but all the best ways. 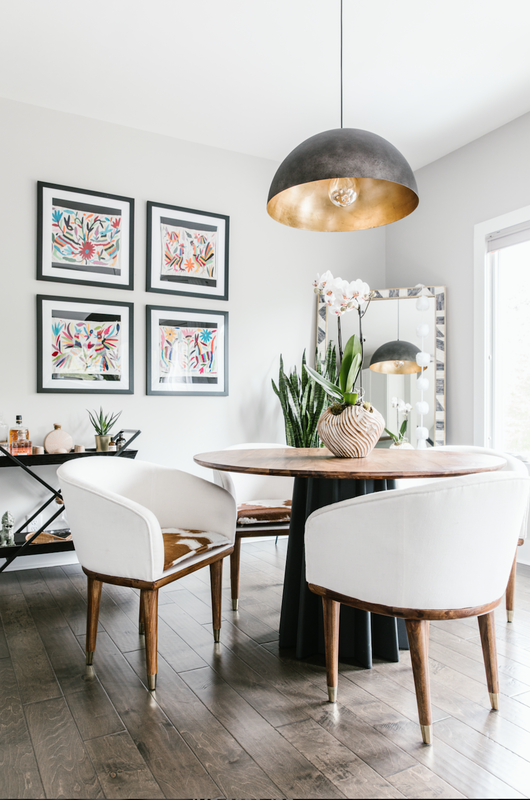 For the above office space designed for Garance Doré’s new LA home by designer Sarah Sherman Samuel, the duo settled on Quaint Peche by Sherwin Williams. Try Head Over Heels by Benjamin Moore for a softer, more subtle blush tone. 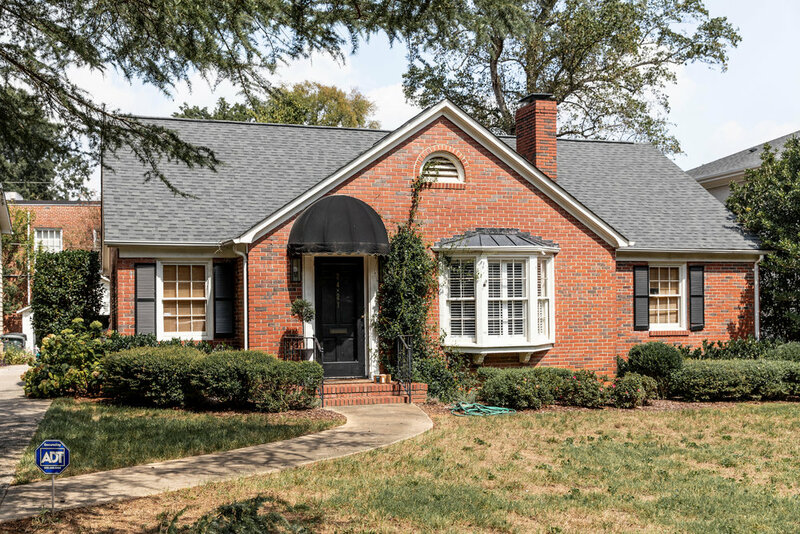 Or, give Peaches N’ Cream by Benjamin Moore a try for a bolder hue. There really are no limits to where blush can bring beauty and that soft color pop. Blush in the bathroom, blush in the kitchen — blush in the bedroom or the patio. We really love the idea of blush in kids rooms, too. Like this space by designer Lauren Krieger — light blush walls layered with pops of white and bright pink. We’re loving the natural green tones Davidson’s Blake Pope brought into his bedroom design. 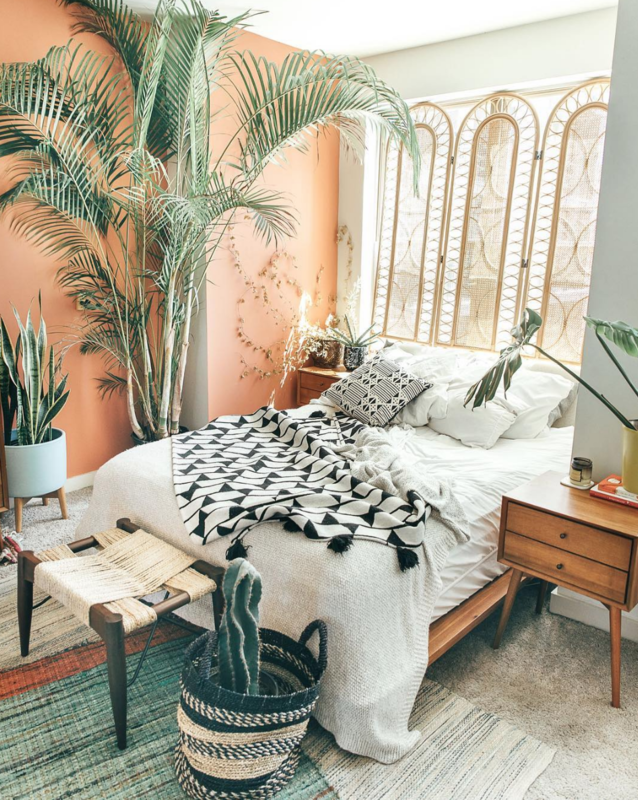 His collection of aristic plants pop beautifully layered against his warm accent wall, painted in Peaches N’ Cream. 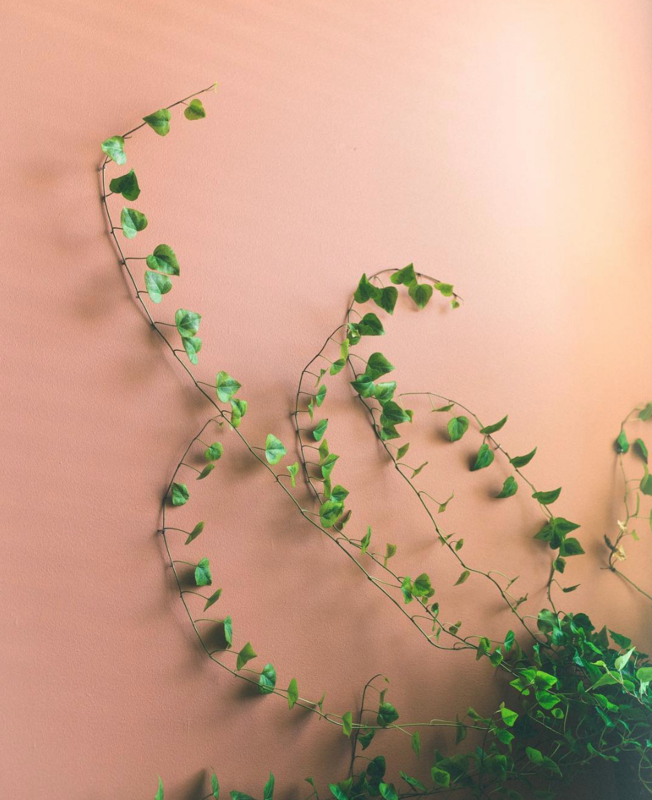 If you’re not ready to jump for blush walls, try incorporating some spring tones into your accents. Take this outdoor scene with pops of pink layered in. Another spot to bring in some blush is in your tablescapes — grab some fun napkins or accents for your upcoming Easter gatherings! Try these placemats or napkins to start. Hop on over to Instagram to stay tuned to Berk’s bathroom blush refresh, featured on our design daily stories. Happy Easter!! 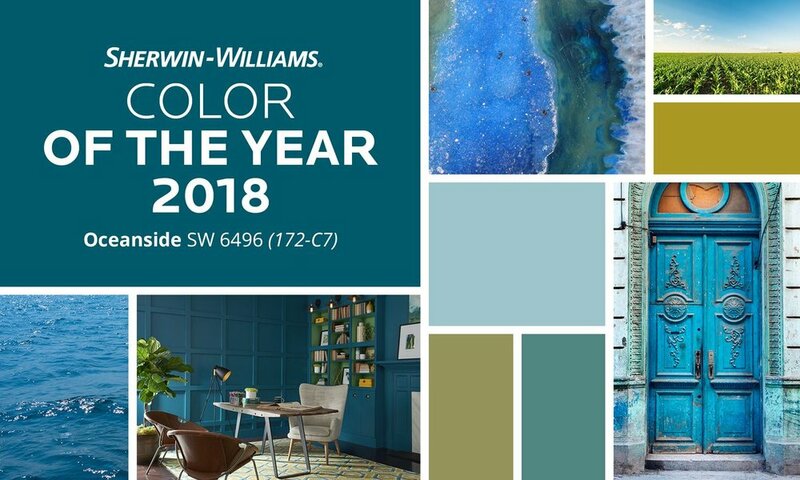 We cannot say we were surprised when we saw the color pick for 2018 from Sherwin Williams. I am noticing more and more that people are not afraid of using color. I still love a beautiful neutral palette and even have a few white walls of my own but nothing adds more vibrancy and energy to a room than a coat of bold paint! 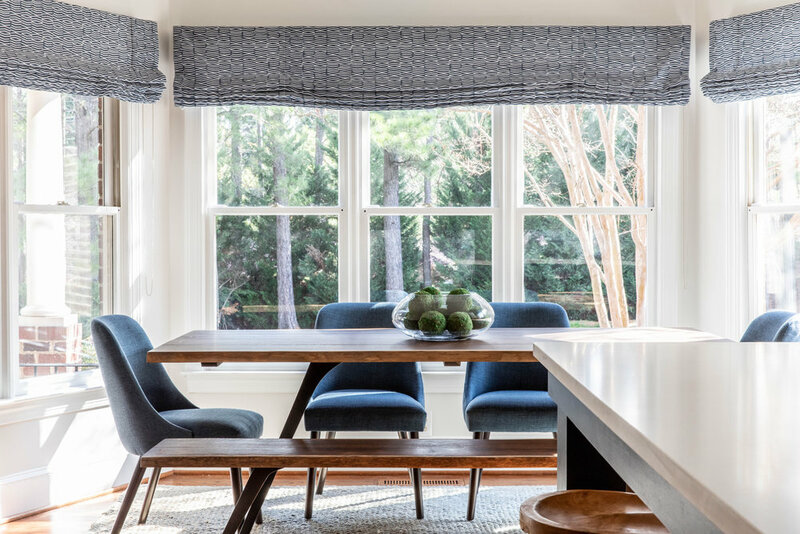 They say that this color is the color of "wanderlust;" "Inspired by travel, the blue-green hue will add an air of mystery and elegance to any space." 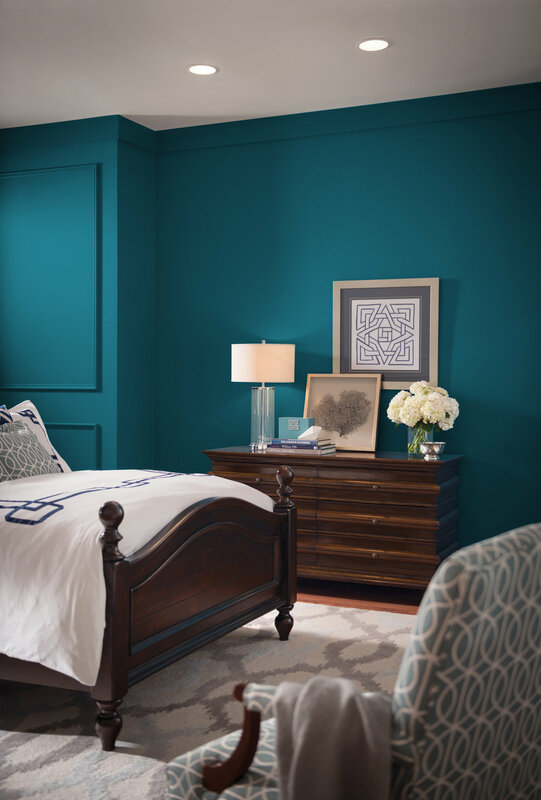 But back to the Oceanside color from SW... you may be thinking how do I incorporate such a bold color when currently I have nothing teal or this bold in my house? 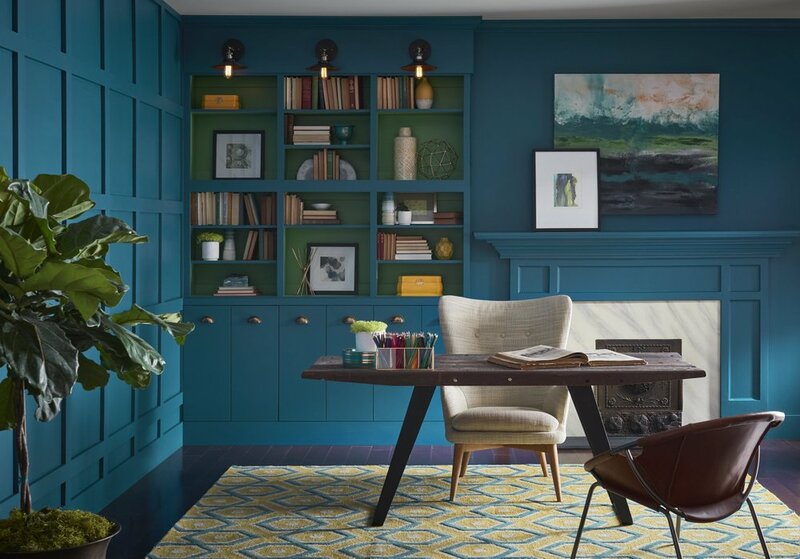 Don't think you have to paint your entire living room teal (actually I may advise against it all together). 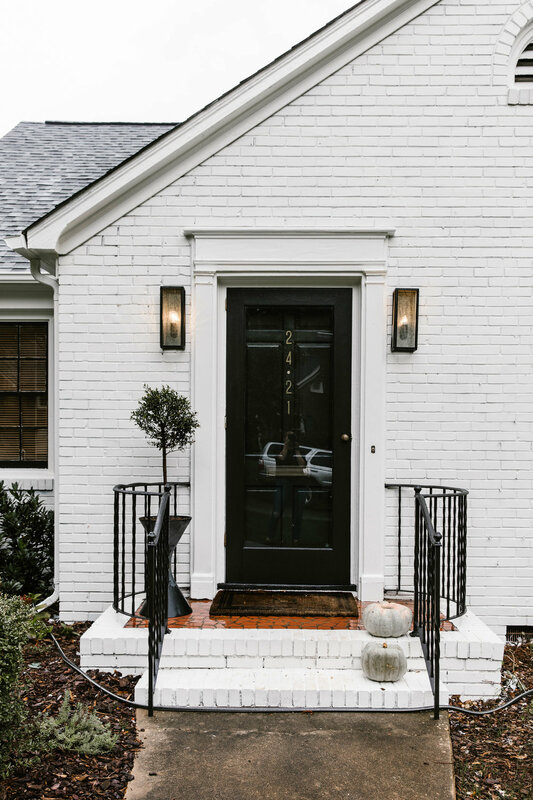 Think smaller spaces (a study, music room or office), your guest or powder bathroom, behind your builtins to add a pop, or a door! 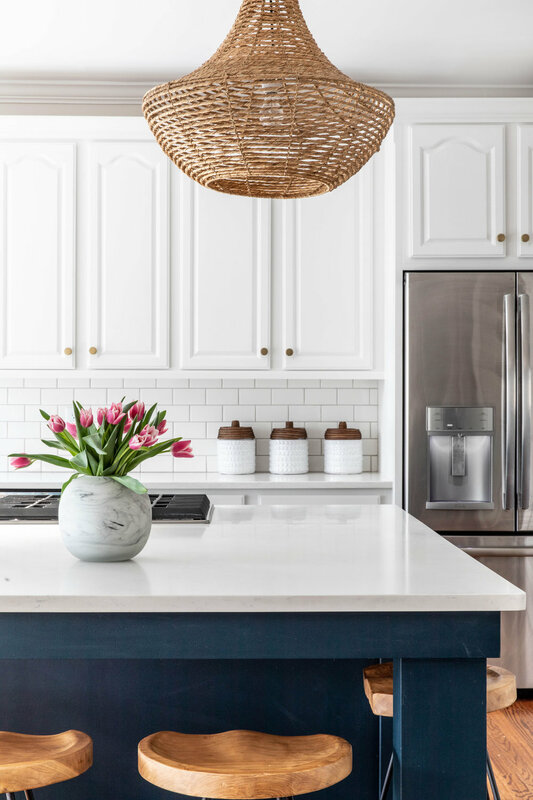 Once you have chosen where the paint is going be sure to pull the color in again somewhere else in the house... either through art or textiles. This will really help make your decision feel intentional and not random.